95.7 BEN FM is giving you the chance to win your share of $110,000 dollars! 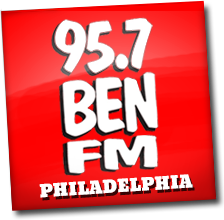 Listen to BEN FM weekdays at 8a, 11a, 1p, 4p, & 6p for your chance to win $1,000. Each time you enter in, you are qualified for a chance at $1000! This Spring, "It's All About The BENjamin's, BABY!" Peirce Phelps Bryant Heating & Air Conditioning Dealers - Don't Sweat The Summer. Visit NoPayBryant.com to find an expert Bryant Heating & Air Conditioning dealer in your area.